A Pentagon assessment has declared the only way to completely destroy all parts of North Korea's nuclear weapons programme is through a ground invasion. "The President needs to stop making provocative statements that hinder diplomatic options and put American troops further at risk," Mr Lieu's joint statement said. Rear Admiral Dumont opened his letter with a clear indication that his office supported economic and diplomatic solutions ahead of any military action. 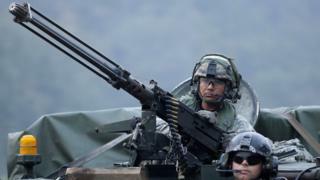 Potential casualties from a conflict depended heavily on the intensity of any attack on South Korea's capital, Seoul, which lies just 35 miles (56 km) from the border, as well as how much advance warning the US and its allies had, he said. He said a counter-offensive from artillery battery fire and air strikes might help limit casualties. The Joint Chiefs also fear that Pyongyang would use biological weapons in a conflict, despite international conventions banning their use, as well as chemical weapons - which it has never agreed to abandon. "It likely possesses a [chemical weapons] stockpile," the letter said. 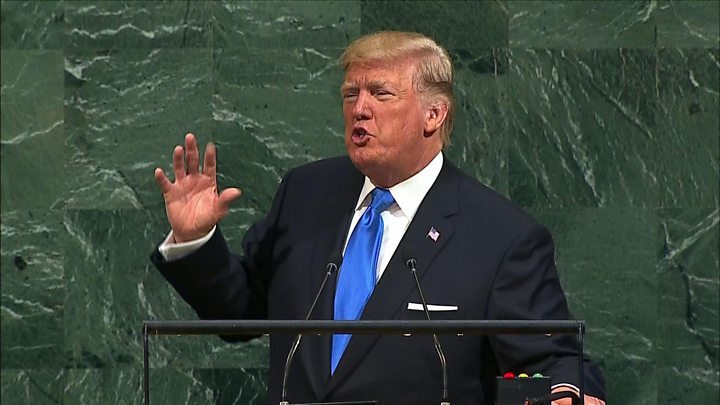 The assessment by military chiefs follows the release of a report from the non-partisan Congressional Research Service, which warned that even a brief conflict without the use of banned weapons could cost tens of thousands of lives.